Even though energy production and exports are the lifeblood of all Arab states in the Gulf, the present crisis between Qatar on the one hand and Saudi Arabia, the United Arab Emirates, Bahrain, and Egypt on the other has had very little influence on the economics of oil and gas either internationally or within the region. However, the countries involved have a lot to gain from a resolution of the conflict, particularly if it leads to greater energy market integration. Qatar is the largest producer and exporter of liquefied natural gas (LNG) in the world. It also exports a large share—about 750,000 barrels per day (bpd)—of highly valuable natural gas liquids (NGLs) such as propane and butane, as well as a small amount (600,000 bpd) of crude oil. By contrast, Saudi Arabia does not produce any LNG, but exports about 9.07 million bpd of crude oil, refined oil products, and NGLs. Because the two countries’ production and exports are so different, Qatar and Saudi Arabia do not compete in the same markets. The energy trade links of the Gulf countries have always been between the respective producer and importing countries in Asia, Europe, and the Americas. There are no oil or gas exchanges between Qatar and Saudi Arabia or Bahrain. Hence, the political tensions between these countries have had limited impact on their energy policies. The UAE and Qatar, for their part, have long-standing energy relations. They jointly built, own, and operate a natural gas pipeline called the Dolphin Gas Project that transports about 2 billion cubic feet per day of natural gas from the North Dome field in Qatar to the UAE for distribution in the Emirates and Oman. The intra-Gulf Cooperation Council crisis has not affected these gas sales, which continue to be of importance to both the UAE and Qatar. It appears that as far as energy production and exports are concerned, Qatar has not been impacted at all by the embargoes imposed by its Arab neighbors. Gulf exports of gas and oil are transported by ship, and the sea lanes to and from Qatar are open. Qatar can be confident that these lanes will never be closed to enforce the embargo. Indeed, should the Saudis or Emiratis decide to block the lanes out of Qatari ports, Asian and European buyers of Qatari gas and oil would strongly object and in turn could boycott Saudi products. Further, the U.S. could be relied on to maintain the right of navigation for Qatar’s products, just as the U.S. Navy would keep the Straits of Hormuz open in the case of Iranian interference. Saudi Arabia and the UAE are very unlikely to test this premise. Though the present tensions have not influenced energy production or exports in the region, should tensions ease, both sides of the crisis could benefit. Bahrain, Kuwait, and the UAE are in dire need of natural gas. 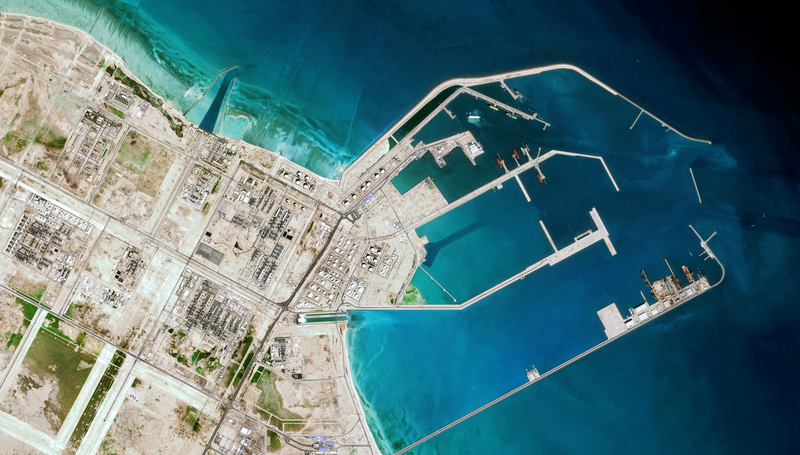 Bahrain is now building an LNG receiving terminal and Kuwait and Dubai already have one. It is quite nonsensical for these countries to import LNG—which costs a great deal to produce, transport, and re-gasify—when they could get cheap gas directly from short pipelines to Qatar. Saudi Arabia, which needs more gas to fuel its economic expansion, is spending great amounts to increase production from tight gas formations, when it could obtain much cheaper gas a few kilometers away. The UAE could expand the Dolphin pipeline and provide low-cost gas to all of its emirates rather than invest tens of billions in new LNG plants. Kuwait could also benefit greatly from an LNG link with Qatar. Kuwait tried to secure funding for a Qatar-Kuwait pipeline in the early 2000s, but the pipeline was vetoed by Saudi Arabia, who already feared Qatari influence on the region. Kuwait has very little gas and is not likely to get substantial amounts from either Iran or Iraq, which have gas but no ability to export it in large quantities to Kuwait. An easing of tensions could translate to a revisiting of the Qatar-Kuwait pipeline dispute with Saudi Arabia. Egypt, at one point a net exporter of LNG, has in the past five years become a net importer. However, Italian oil and gas company Eni is now developing the Zohr gas field in Egyptian waters north of Alexandria, and Egypt is scheduled to stop all imports of natural gas, though it will be left with little to export. The Qatar crisis is not affecting Egypt’s energy needs and energy policy. Perhaps the greatest beneficiary of a potential improvement in GCC relations and a link to Qatar’s gas deposits is Bahrain. Bahrain is totally dependent on natural gas for its large industrial plants (aluminum, petrochemical, desalination, etc.) The country is running out of its own natural gas and is building an expensive terminal to receive LNG from as far away as Australia when it could get low-cost gas next door. Bahrain has discovered some tight offshore gas formations, but this gas will take time to get and will be very expensive to retrieve. Bahrain has talked to Qatar for years about buying its natural gas, but has never managed to get past long-standing political tensions to reach a suitable deal. In sum, the political crisis between Qatar and its three GCC nemeses—Saudi Arabia, the UAE, and Bahrain—as well as Egypt has had no impact on the existing energy production or exports of the five countries. However, the crisis will most likely limit future intra-GCC developments. If energy cooperation had been built years ago and not suffocated by years of rivalries, the present crisis may not have occurred.